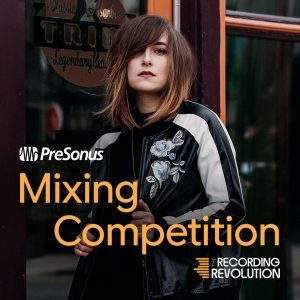 We’ve partnered with Splice, The Recording Revolution, and Briana Tyson for a mixing competition! Practice your chops bringing stems from Briana to life and share your best mixing tips and tricks with the rest of the community! Here’s how it works. Click the link below to visit Splice and download the project files and stems for Once all the mixes are in, Graham from Recording Revolution will listen through the mixes and choose the one he thinks is radio ready to win his premiere mixing course Mixing University, a pair of Eris E66 Monitors and a copy of Studio One 4 Professional, an Eyeball microphone cover from Kaotica, a video call with Briana Tyson, and consideration from Briana Tyson for official release! #TeamPreSonus Spotlight: Graham Cochrane of The Recording Revolution! My name is Graham Cochrane. 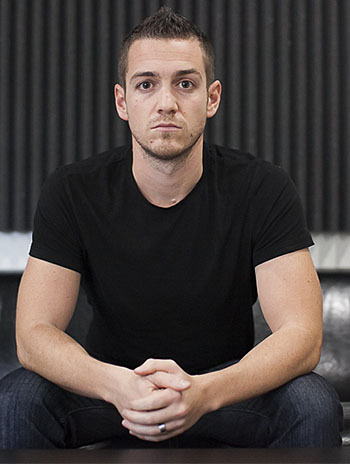 I am a producer, engineer, songwriter, and worship leader based in Tampa, FL. I’m also the founder of The Recording Revolution, a popular audio training resource. Word of mouth, years ago. I currently have a Eureka and ADL 700 in my rack. Both are excellent preamps and channel strips that make recording easy and fun. I’m using the Central Station Plus for monitoring. I also do all of my mastering in Studio One Professional. Love that project page! You guys make great products, and make them available at real-world prices, and you have an obvious passion for making music. What more could you want? What’s the last big project that you worked on using PreSonus gear? I tracked my band’s most recent EP using just about nothing but the Eureka on the front end. Everything I’ve mastered this year has been exclusively in Studio One. Mixing for a few bands this summer. Also writing a new solo album. I’m always making content for The Recording Revolution including a recent video series called Mastering With Stock Plug-ins that was done all in Studio One. It’s free, you should check it out! Take back your studio with the Recording Revolution, enter to win Studio One Professional 2.5! First off, I just want thank PreSonus again for agreeing to be one of the sponsors of this event. It’s an honor, and people are going to love the gear! The event is called Take Back Your Studio and it’s happening Saturday June 15th from 12:00pm to 3:00 EST. During the event I will be pulling random names out of the registration list and announcing winners throughout the afternoon. We’re giving away Studio One Professional 2.5, as well as some other great prizes! Should be fun! Hope you are well. Just a heads up that I posted a video review of mastering in Studio One with the Project Page. Enjoy! Really enjoying working with S1 for mastering. You all have done an excellent job with this! Hope to see some of you at NAMM.